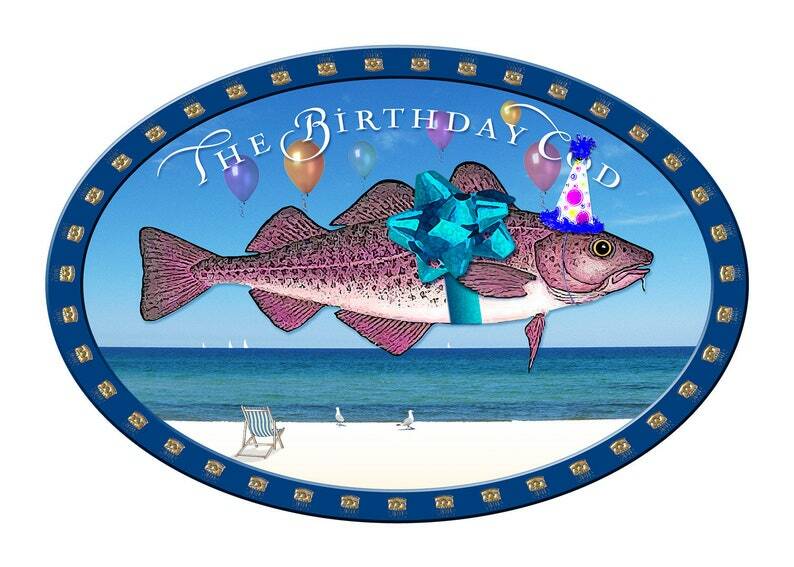 In this version of The Birthday Cod the codfish is wearing a party hat. Little gold birthday cakes surround the image. The inside says Happy Birthday with balloons above. The original Birthday Cod is also listed in the shop. An original design by Andrew Newman for Cape Card. One greeting cod with envelope in clear plastic sleeve. The "cod" is 7x5 inches, and is printed in full color on heavy stock. The outside is coated. The inside is uncoated for writing. Digital watermark does not appear on actual card.